The Gift That Only You Can Give. Capture your legacy for future generations. No one can tell your story the way you can. Capture it on digitally preserved video to immortalize your gestures, your speech, and everything that makes you, you. We organize your stories around broad themes and specific seasons of your life, helping you weave a rich narrative for future generations to enjoy. Don’t know where to start? 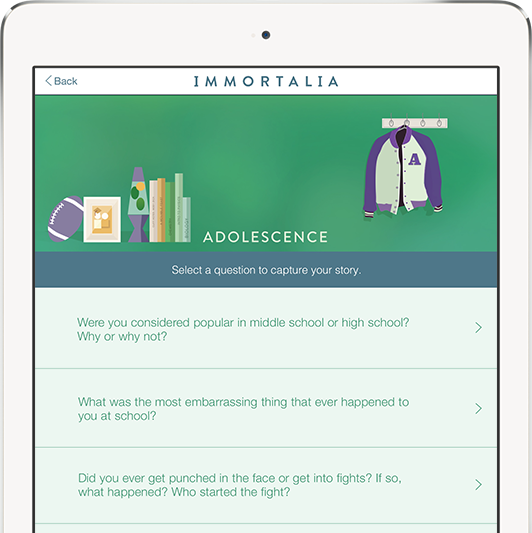 Just work your way through our carefully curated list of questions about your life, preserving each detail just as you remember it. You can also add your own custom questions. 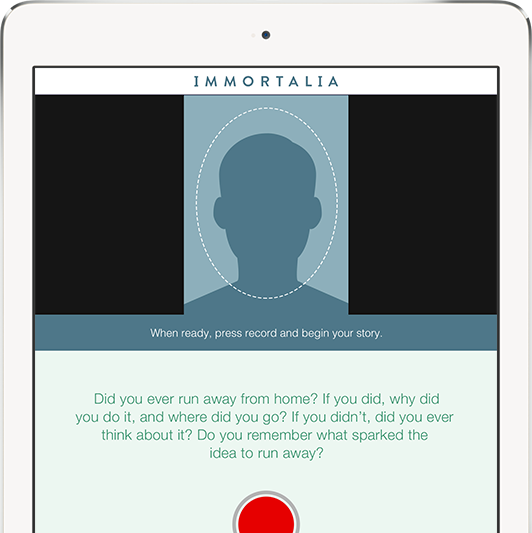 Immortalia makes it easy to capture all the moments of your life. Once our app activates your rear-facing camera, just start talking. Friends and family will get a front row seat as you speak. Recording your story is just the beginning. 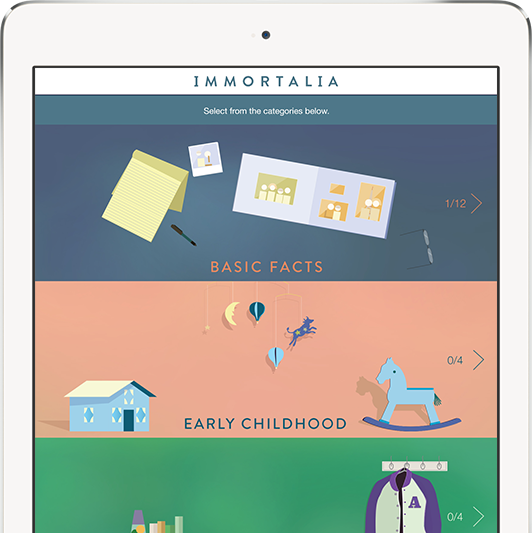 Take advantage of Immortalia’s additional features to easily store and share as many videos as you’d like. Record and organize video interviews to save precious memories for future generations. You’ll never have to worry about running out of space on your iPad. All videos are automatically saved to the Immortalia Cloud. Invite friends and family to watch your videos.